No longer land locked. It was back to breezy in Tangier. Starting with an underwhelming and bland seafood casserole thing. Disappointing especially since the crust looked so good. But I was starving so I ate it all. And it did kind of inspire some ideas. And then I helped my dad eat his fried seafood platter because I will always help you eat a fried seafood platter, this I can promise. Too bad, it also wasn't great. If I haven't already said it enough, this is the problem with tours. But unclear how successfully we would've navigated ourselves to the Cave of Hercules to see a backwards Africa in the rocks. [I mean, okay, if I had done some research, I'm sure this would've shown on my several lists.] And to be envious of the men diving into the bluest water. Refreshing felt like an understatement as I was sweating through my loose-fitting but still long-sleeve shirt. I'm sure we would've found the camels by the roadside (there were several groups), and we each hopped on one so they could lead us in a small circle by the water. I think I feel the same way about this kind of thing as I do about zoos - ambiguously negative - but sometimes you do things because everyone else is doing them. 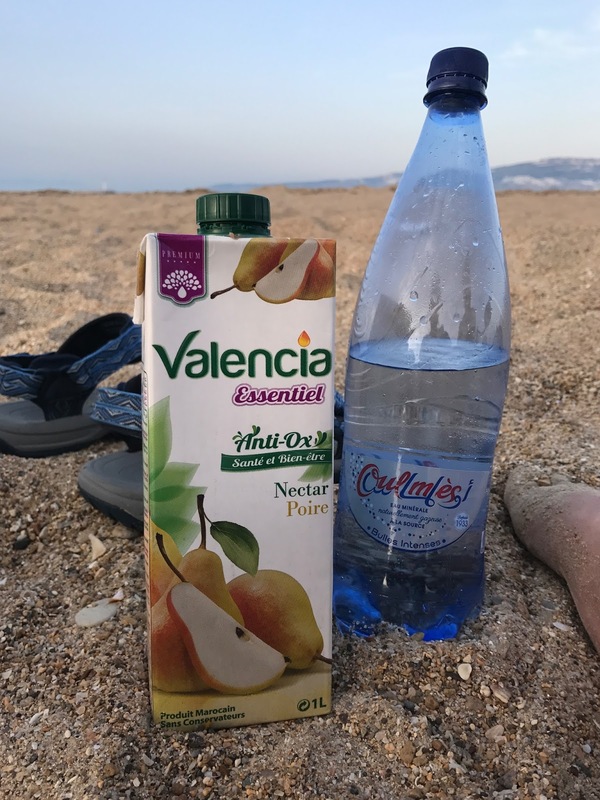 The nicest part of Tangier was splitting a box of pear nectar and a bottle of agua con gas on the beach with Audrey. Until the wind got too out of hand, and we had to save ourselves from being pelted with sand. And it actually got cold. Cold? In Morocco? In summer? I know. But then I promptly burned my tongue on the lemon chicken and olive tagine we had for dinner, so it all evened out in the end. 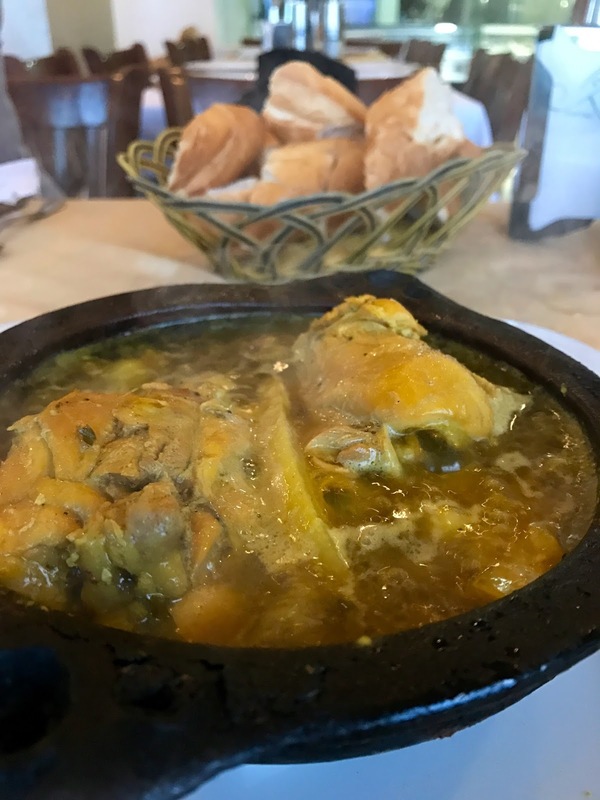 This one ended up being my favorite tagine, and not just because I loved sopping up all the juices with the extra bread. Because the chicken was so tender this time, and Olive (read: I love) olives. Before catching our overnight train to Marrakesh, we accompanied Issmail on an evening stroll and fruit hunt for juicy donut peaches and plump blueberries. 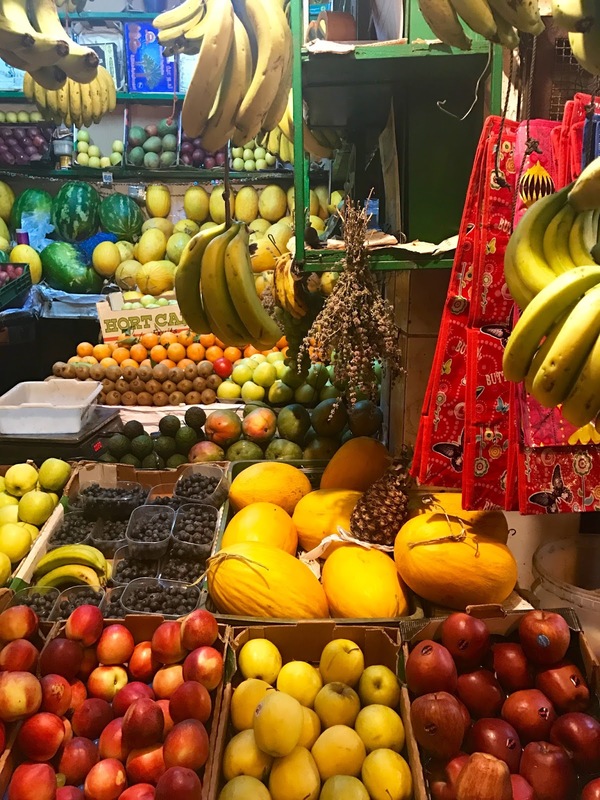 I love a good farmer's market, but open air fruit stalls, the kinds you only really see in Chinatowns around here, have their own non sterile, non fluorescent charm about them if you know what I mean. And the fruit is always just the right amount of ripe. As if you didn't already want to eat it right away.